Anti-Christian bigotry has permeated our schools, our government, and throughout all platforms of mainstream and social media. For a nation where a strong case can be made that it was founded in large part by Christians, the rhetoric in America against Christians, Christianity and the bible is for me quite sad if I am honest. How little we know of our own history, even relatively recent history. Then again, the fact that we have been purposely "dumbed down" as a nation speaks to the spiritual battle we face, so it is really no surprise at all. There was an article in the Free Republic a few years ago entitled "Dear Christians, We Hate You. Sincerely, Atheists " that I believe summarized nicely how the media condones and protects Christian bigotry...a bigotry that at least in my view is long striding in epidemic proportions. It is unchecked and unrelenting, guaranteed to grow worse. Imagine if an activist group blanketed a major city with 55 billboards urging that illegal aliens go back to their own country. Or that homosexuality is a crime against nature. Or that Muslims are responsible for most of the world’s terrorist attacks. Yet, there has been little outrage over the 55 billboards that started going up last week in Sacramento, California that mock Christians, that blaspheme God. They are sponsored by the so-called Freedom From Religion Foundation, an atheist organization based in Madison, Wisconsin that truly is a hate group. “I don’t believe in Odin, either,” sneers one billboard. “Studying the bible made me an atheist,” disparages another. “Without god I am full of love,” declares still another. Is there any evidence in Cruz’s political career that he has in any way acted like an Islamic Imam? 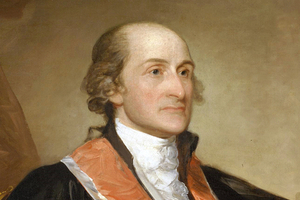 He argued before the Supreme Court nine times. Did he argue like an Imam? On what basis did Cruz make his arguments? The Constitution of the United States. There is also Benjamin F. Morris’ 1000-page book The Christian Life and Character of the Civil Institutions of the United State first published in 1864 and later republished by American Vision in 2007. 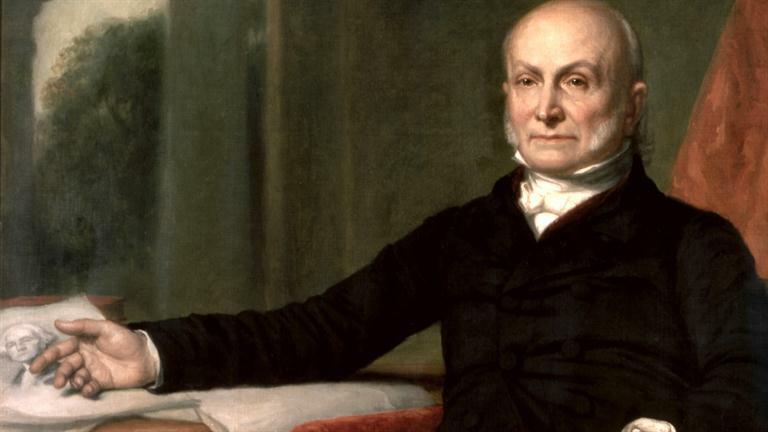 “Nicknamed ‘The Hell-Hound of Slavery’ for relentlessly speaking out against slavery, John Quincy Adams single-handedly led the fight to lift the gag rule that prohibited discussion of slavery on the House floor. And what is the source of those rights? They are, as the Declaration of Independence states, an endowment from the Creator, a point not made directly in the Constitution but indirectly in the closing section just above the signature of George Washington. Josef Stalin, Adolf Hitler, Pol Pot, Idi Amin, and Hugo Chavez considered themselves to be acting in terms of “enlightened self-interest.” On what basis does a society determine what constitutes the right kind of self-interest in the era of Darwin?